Healthcare delivery at the Komfo Anokye Teaching Hospital (KATH) in Kumasi would from now onwards improve since 2018 as key investments have been made at the place. Speaking during the official opening of KATH's 2018 end of year performance review, Dr. Oheneba Danso, KATH CEO, revealed that the present management of the hospital has purchased modern equipment to help boost the efficiency of their staff and save human lives. He disclosed that “heavy investments were made in the development of the manpower base of the hospital and acquisition of critical equipment using IGF to help improve patient care. “Among the equipment procured in the course of last year were power drills and accessories for the Trauma & Orthopaedics Directorates l, valued at GH¢180,000,” Dr. Danso added. He also mentioned that during the year under review, KATH managed to purchase a haematology analyser, which is also valued at GH¢490,000. The CEO indicated that ventilators for the intensive care unit, worth GH¢150,000, were bought by management to boost healthcare delivery. KATH also purchased assorted equipment for the physiotherapy unit, which is valued at GH¢300,000. He disclosed that dental care also witnessed massive progress at the hospital last year, as management made key investments in that area as well. 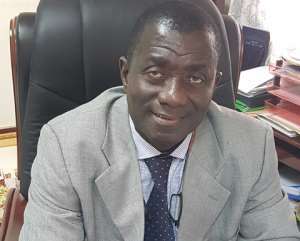 “Work on the renovation and conversion of the former consulting room 10 into a dental suite for the Oral Health Directorate was completed during the year under review at the cost of GH¢256,632.60 to improve dental care to the public,” he pointed out.